Israeli director/writer Oren Peli builds a palpable sense of dread and claustrophobia, all for an astonishingly meager budget of $15,000. The bargain thriller, shot in faux documentary style, yields a windfall of frights that will likely resonate after the film’s disturbing crescendo. Aside from genuine Halloween scares, “Paranormal Activity” posits a very important relationship conundrum: What do you do when your girlfriend claims to be haunted by a demon? Kicking her to the curb isn’t an option for Micah (Micah Sloat), whose San Diego home is suddenly going bump in the night ever since girlfriend Katie (Katie Featherston) moved in. Of course, she never bothered to tell him about the strange noises and hot demon breath that have been haunting her most of her life. Micah decides the best course of action is to buy a video recorder to capture whatever is raising hell. Turns out, demons are rather camera shy, and they don’t quite take a shine to the boyfriend’s meddling. The actors have real chemistry, which adds to the creeped-out cinéma vérité vibe. Peli uses slamming doors and bedsheets like Tobe Hooper employed a chainsaw. The mundane has never been more terrifying. “Paranormal Activity” does a lot more with less. “Paranormal Activity.” Rated R for language. Running time: 86 minutes. With Micah Sloat, Katie Featherston, and Mark Fredrichs. Playing in Brooklyn at Access Digital Theatres - Pavilion Cinema (Park Slope), AMC Loews Kings Plaza 6 (Flatlands), UA Court Street Stadium 12 (Downtown Brooklyn), UA Sheepshead Bay 14, and Bay Ridge Alpine Cinemas. Best View in Brooklyn gives the current lowdown on BarrelHouse Brooklyn, a new bar that has its sights set on Sunset Park. While providing updates on the forthcoming establishment, which owner Steven Baird says he's looking to open by next summer, ideally in Sunset Park, the blog gives a nice rundown on other watering holes in the neighborhood. "With the karaoke bars and Mexican restaurants, there is no shortage. Don't forget places like the Soccer Tavern on 60th and 8th and Irish Haven on 57th and 4th. They are great for a beer...No need to travel 5th Avenue to Bay Ridge or Greenwood Heights. Stay in Sunset Park!" Stay in Sunset Park...sounds like a catchy new motto. Do you know who I am? Do you? Do you? I am Wednesday Addams and this is a special Halloween Klutz! Step inside my kitchen and be prepared to be mystified, stupefied and horrified. Seriously, I made something really, really gross. Inspired by Mississippi Mud Pie, which I've never had the pleasure of tasting, I created Gummy Worm Mud Pie. Doesn't that just sound disgusting? How fun! Who better to serve this dirty dessert than that sinister oddball we all love - little Wednesday Addams! The persona and costume are fitting since I've been told I have a passing resemblance to Wednesday Addams. I'm not quite sure if these folks were referring to my black hair and pale skin or my demeanor. Hmm. Anyway, this dessert takes about 10 minutes (or 20 if you're really slow like me) to make. Start by melting a stick of butter, which I did in the microwave, then add that to an entire package of crushed Oreo cookies. To crush the cookies, I put them in a brown paper bag (the kind intended for school lunches) and smashed it on my counter top. After the second whack, the bottom of the bag ripped and cookie crumbs flew everywhere. I suggest double bagging the brown bags or putting the cookies in a mixing bowl and breaking them with a spoon. After dusting off my counter tops, I spread the buttery cookie mixture in a large baking pan. Then, I mixed gummy worms and frogs into a carton of vanilla ice cream. Some candy corn was thrown in for extra pizazz. That was added to the baking pan and then topped with whipped cream. With a few more gummy worms as a garnish, it was time to put this pie in the freezer. Verdict: This worm pie looked like a giant white blob but actually tasted pretty good. After all, it's just ice cream, Oreos and candy. No bad ingredients there! Add some eyeballs and you'll have the perfect treat to scare your pals. That's how Wednesday would want it. Crush Oreos and combine with melted butter. Fill baking tray with mixture. Mix candy with ice cream, then add on top of Oreo base. Cover with whipped topping and garnish with candy. Freeze for two hours. A Park Slope boutique, aptly named Flirt, has earned a faithful following of gals who love eclectic and trendy apparel and accessories. The cozily cute shop is so jam-packed with divine dresses and haute handbags that it gives the impression of a vintage store. Not so, my friends. Everything here is spanking new. In many instances, the pieces are designed and handmade by the store’s staffers. You won’t find this stuff in any other hipster haven! While Flirt stocks amazing apparel — standouts include a yellow satin skirt and a slinky purple top — the accessories are to die for. The colorful pieces scream, “Girls just want to have fun!” And yes they do! A floppy straw hat gets a teasing twist with the addition of a silky scarf tied around the brim. The scarf’s pink and white zebra print offers an added bit of pizazz. Chunky rings come in adjustable sizes thanks to the use of elastic bands. The elastics are affixed with oversized buttons in the shape of yellow sunflowers or blue moons, making for fun and affordable jewelry. There’s another collection of unique and noteworthy rings at Flirt. These babies are crafted from black plastic and opt for quirky photos instead of baubles. Would you prefer an owl or a peacock? At nearly an inch long, these rings are large and in charge! Speaking of bling, Flirt’s necklace counter is full of delightfully glitzy pieces. A personal favorite is a gold necklace made of cascading charms that resemble Spree candy. Yummy! Flirt has a modest but respectable collection of handbags. A gray tote with brown leather handles adds a bit of whimsy to its classic shape thanks to a blue pen drawing of an octopus on the front of the bag. In a quirky twist, the tentacles spell out “Brooklyn.” How’s that for borough pride? Flirt staffer Emily Geanacopoulos has several of the bags from her Applecart brand on display. These slings offer interesting asymmetrical zippers and come in various textile prints. Head to the shop and find the handmade bag that best suits your style. After all, everyone loves to flirt. Flirt is located at 93 Fifth Avenue. For hours call 718-783-0364 or visit www.flirt-brooklyn.com. Lots going on this weekend, being it's Halloween and all. Here's a look at what spook-tacular parties are going on in Brooklyn, as well as non-costume related events. It Came From Brooklyn: This isn't in Brooklyn, but will certainly include many from here making the trek to the Upper East Side. The Guggenheim's monthly series returns tonight, with Yeasayer throwing a 3-D light show. You'll just have to see it to get it. Also on the bill are Tanlines, author Rachel Sherman, and comedian Max Silvestri hosting. At 8 p.m. Tickets $40 for members, $45 otherwise. Located at 1071 5th Avenue in Manhattan. Theater: Ireland’s premiere company, Druid, returns to the Brooklyn stage this season with more powerful storytelling in Enda Walsh’s “The New Electric Ballroom.” Now through November 22 at DUMBO's St. Ann's Warehouse (38 Water St.). Tickets range from $27 to $68. Music: Boston-based R&B throwbacks are also back for a good time in Brooklyn, playing at BAMcafe in Fort Greene tonight. At 9:30 p.m. Free. 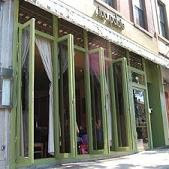 BAM is located in Fort Greene at 30 Lafayette Ave. Hallloween! 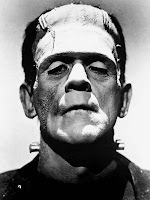 : Check out our guides to Halloween, for families and those not safe for kids. You're sure to find something that suits your fancy. Zombies: A new mention for Halloween festivities: the Greenpoint Zombie Crawl, make its way through Diamond Bar, Black Rabbit, td bar and the Mark Bar in search of brains and booze. Starting at 8 p.m. at Diamond Bar (43 Franklin St.). Features drink specials for all zombies, so get into character. Clocks: This isn't really an event, but remember to turn back those clocks back in the wee hours of the morning for a sweet extra hour of sleep. I love Daylight Saving Time. Marathon: The ING NYC Marathon makes its way through all five boroughs today. For all you spectators, see where it'll be heading by you in Brooklyn, from Bay Ridge up to Greenpoint, and what do to along the route. It most certainly won't involve running. Reading: The Brooklyn Lyceum in Park Slope continues its monthly literary event, First Sundays Writers Series, today, joined this time around by Galway Kinnell. Making a rare appearance in Brooklyn, Kinnell is a Pulitzer Prize-winning poet, as well as a MacArthur fellow. Catch him starting at 7 p.m. Tickets $10. Located at 227 Fourth Ave.
A born and bred Brooklynite, Capathia Jenkins has lived in Park Slope for the past 20 years. When not running off to rehearsals in Times Square for "Love, Loss and What I Wore," or flying out to sing with a symphony, you can find her in her neighborhood, saying hi to the new businesses popping up. "A lot of the time it's literally, I come home to sleep, and am up the next day on the train. Then there are those times where I just get to walk around, and so much has opened around my neighborhood," says Jenkins. "I love going into new shops, saying hi, how's it going, welcome to the neighborhood." "Just most recently there's this new place called Bark, just like gourmet hot dogs. And I am a vegetarian but I have to go in, right, I'm just nosey and have to see what it is. I have this vegetarian hot dog, it's the best thing ever. It's my new favorite thing." "I love vegetarian places. I have a couple in the neighborhood now. Vegetarian Palate - I like them - and Dao Palate are good." When you go in, make sure to say hi. For their next First Saturday event, the Brooklyn Museum encourages museum-goers to come dressed as their favorite rock star, in keeping with their current exhibit, "Who Shot Rock & Roll: A Photographic History, 1955 to the Present." With Brooklyn's Crystal Stilts, The Beets and Grass Widow on the bill, we thought we'd see who they would choose to emulate. The Crystal Stilts founders both picked rock and rollers with a more tailored sense of style, from a rock and roll guitarist to a punk rocker. JB Townsend (Crystal Stilts guitarist): "Someone once told me that I looked like the big bopper," says JB. "I don't think I'd do that all all. The guy that told me was a senile old man. He was kind of crazy. Maybe Link Wray." Andy Adler (Crystal Stilts bassist): "Oh gosh, I'm not particularly into the whole rock and roll look per se. Maybe some of the well-dressed men of rock and roll. Vic Godard - he kind of has class. Nothing too particularly...rock. I've never been one for the real rock and roll look." The Beets, a rock band based out of Jackson Heights in Queens (and one of the L Magazine's bands you need to hear now) were a bit creative with their answers. Says Jose Luis Garcia: "We at The Beets feel being a rock star is a state of mind. I mean come on, who is more rocking then a Dracula? Kids are eating that up these days with the 'True Blood' and those fancy teen vamp movies. It's like the eighties all over again." As far as The Beets' music goes, they're more into an earlier decade, with their 60s garage rock vibe. Juan Wauters (The Beets guitarist ): A hippie. "We usually prefer to represent ourselves as being in positions that are attainable, rather than the coveted, iconic stance of the rock star (anyone can be in a band). Which is why we wear street clothes. I'm stoked on the concept and excited to see what people show up wearing! it's going to be fun!" You heard from the bands. Let's hear from you. What rock star would you go as? Or would you channel your inner rock star and just be yourself? Schnitzel Haus occupies a unique niche in Brooklyn’s culinary scene, as one of perhaps only two or three restaurants in the borough which specialize in authentic German cuisine. For many people, this food conjures up visions of sauerkraut, sauerbraten and bratwurst…and while these are certainly staples, they are also clichés, in a way, as the German menu is far more complex and diversified and rendered with excellence at Schnitzel Haus. Indeed, they were rated as the #1 German restaurant in New York on urbanspoon.com and are anxiously awaiting their Zagat rating. The place has a definite hunt club atmosphere, with its elegant, richly-stained wood paneling throughout and knotty pine plank panels along one wall, with heavy wood tables and waitresses in traditional German jumpers. As for the atmosphere, one generalization is quite true: The reputation Germans have for hearty meals and good times; a fact well illustrated at this restaurant, which is uniquely accommodating, and welcomes the whole family with a big hug. It is definitely a family-owned and -operated enterprise, overseen by Fred Urban, working man by day, even harder working restaurateur by night. He is ably assisted by son, Richard and wife, Amber, and a very engaging staff who work very hard to assure your visit is happy in every respect. As for the food, it is quite true that the German diet leans heavily to favor the meat eater, and the Schnitzel Haus menu certainly does not disappoint, with a wide range of pork, beef and poultry options. After all, the average person in Germany consumes some 75 pounds of meat a year, typically pot-roasted and often consumed as sausages. There are more than 1,500 different types of sausage in Germany and many of these are represented at this restaurant. Wuerstes (it just means any type of sausage) include Bratwurstteller (Bratwurst grilled), Geraeuscherter Bratwurstteller (smoked Bratwurst), Knackwurstteller (boiled Knackwurst), Bauernwurstteller (boiled Farmers Sausages), Kielbasateller (Grilled Kielbasa), Frankfurter Teller (Original German Frankfurter) and combinations like the Wurstteller mit allem Drum and Dran (a sample Platter of five wursts, served with mashed potatoes, red cabbage, sauerkraut and two mustards) or the Schaefer-Auflauf (German Shepherds Pie made of a variety of German wursts topped with sauerkraut and mashed potatoes). All come on a platter laden with sauerkraut and hearty mashed potatoes or, as with the case of Weisswurstteller, which is boiled Veal Weisswurst, with the house specialty of warm German Potato salad, sweet Bavarian mustard and a pretzel). But we get a little ahead of ourselves. Let’s begin with starters such as such as the venison and cherry sausages with cold German potato salad; Foresters Wife’s mushrooms with shallots and double smoked bacon sautéed with cream and garlic is wonderful; the smoky bacon flavor permeating the entire dish. Other options include snails in garlic-herb butter and wrapped in a crusty baguette. Boneless Smoked Trout Filet is served with rings of red onion in a creamy and sweet horseradish and apple sauce with a huge scallion stalk garnish. Continuing, consider the Fried Breaded Camembert cheese with fried parsley and red current jelly or the massively generous portion of Pickled Herring filets in creamy sauce with apples, onion strips and chopped pickles. Mussels “Rhineland Style” are served in a saffron-garlic white wine broth and there is also a Bavarian Meat salad served with bread and butter. This evening also brought a French Onion Soup, with a whole slice of thick bread wrapped in a layer of creamy cheese and placed atop the broth. Always on the menu is a sweet and thick potato leek soup chock full of superb chunks of ham and a spicy beef goulash soup, served Gypsy-style (bring your own bandana). Returning to the main event, as you might reasonably expect, schnitzels (cutlet) are in abundance, from the Jaegerschnitzel, two massive Pork Cutlets breaded and fried with a brown mushroom Hunter’s Sauce and served with spiced curly fries, to the Rahmschnitzel, pork cutlets in a creamy mushroom gravy or the Paprikaschnitzel, breaded and fried with a creamy Paprika gravy. Veal is given equal prominence as with the Schnitzel a la Holstein, breaded and fried, topped with fried eggs, served with anchovies and capers). Rindfleisch (beef) dishes feature staples like the Sauerbraten, this one culled from the kitchen of Chef Uwe’s (pronounced ooo-vah) grandmother, with roasted marinated slices of beef prepared with traditional sweet and sour gravy, studded with raisins, and served with red cabbage and potato dumpling. The thick slices of meat emerge so tender your fork will easily accommodate the cutting chores. The Beef Goulash is served in a luxuriously rich sauce with meat that is as good as the best brisket and served over egg noodles. And while we are on the subject of beef, choose the Sliced Beef Rolls stuffed with onions, German double smoked bacon, mustard and gherkins, all roasted and served with gravy, red cabbage and spaetzle. The Schnitzel Haus Steak is actually a 20-ounce Boneless Shell Steak topped with sautéed mushrooms and onions and served with German home fries and a house salad. A Chef’s Steak offers a fresh black peppercorn crust over the 20-ounce shell steak, char-grilled and served with the house’s famous truffle butter, German home fries and a house salad. We told you this is the land of the carnivore, so let’s continue to tempt with Filet Mignon in a fresh green peppercorn-shallot cream sauce, flambéed with cognac or the tender Filet Mignon in a creamy Gorgonzola sauce topped with grilled shrimps. This is definitely not your father’s German restaurant. Other sample temptations from the menu include fresh ham in a caraway seed-dark beer gravy, German pork and veal loaf topped with fried egg, Chicken Breast stuffed with Black Forest ham and Gouda cheese or Boneless Chicken Breast smothered in German Mosel wine and mushroom sauce and served with spaetzle and a house salad. There’s even a Rack of Lamb with a Dijon mustard-herb crust, served with bacon-wrapped string beans and roasted garlic mashed potatoes…doesn’t that sound good? And yes, not all the entrees have legs…seafood aficionados are well taken care of: fresh filet of Atlantic Salmon in lemon butter sauce topped with grilled shrimps, served with spinach and mashed potatoes or Tilapia sautéed in paprika butter with capers and white wine. Nightly specials augment this already auspicious menu and included such excellent diversions as the Fire Roasted Filet of Grilled Tuna, Pan Seared Fresh Filet of Pollock with a light Dussledorf-style white wine and mustard sauce; Meatloaf Bavaria, whole baby back ribs glazed with the chef’s special homemade honey Bourbon BBQ sauce and Schwwinsbarten Hofbrauhaus, a pork roast prepared in a dark beer gravy ala Munich’s Hofbrauhaus served with creamed kohlrabi (a vegetable rarely seen on menus) and spaetzle. And that is just a sampling. Desserts include a warm Apple strudel served with vanilla ice cream and vanilla sauce; German chocolate cake, Black Forest cake, Cheesecake served on a mirror of fresh Raspberry sauce and the homemade Cheesecake with rum-raisins. Note there is also a kid’s menu (from a kid’s goulash to the ubiquitous Chicken Fingers with French fries; all Kids Meals incidentally include soda and a kid size ice cream. And by the time you read this the management may have already instituted their Family Style Dinner feasts, each massive serving platter designed to serve three to four hungry people and laden with a variety of entrees. 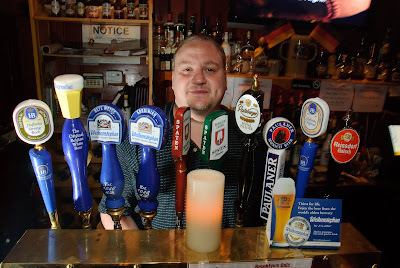 Yes, Schnitzel Haus has a long bar, which is stocked with a vast assortment of taps offering a wealth of ales and lagers. There are 11 beers served on tap and some three dozen more served in the bottle.The well-stocked bar offers its own expansive wine list. Hours: lunch is served Monday – Friday, noon – 4 p.m. with dinner served seven days, Monday – Thursday, 5 – 10 p.m.; Friday and Saturday until 11 p.m. and Sunday, noon – 10 p.m. Most major credit cards are accepted.Live entertainment – generally bands – is featured Friday (usually the Jimmy Mack Band) and Saturday nights. Happy hour at the bar is from 4 – 7 p.m. with half price drink specials.Outside catering and take out are accommodated. The place is very popular for private parties up to 75 and boasts a totally separate second floor private room, complete with an open air deck and its own bar. Ask for a catering menu to see your many options or sit down with Fred and design something specific to your needs and tastes. The third floor of the building hosts the Brooklyn Dartz Club, which is open to everyone with Friday night darts. Now through November 2, while you wait for your laundry, engage in a cycle of stories. At Wash and Play Lotto Laundromat in Fort Greene, an exhibit of "Housing is a Human Right: Stories from the Struggle for Home," an ongoing multiamedia project, will bring artists in to create and perform public art focused on the issue of housing. Created by Michael Premo, a Laundromat Project Create Change artist-in-residence, and former StoryCorps facilitator Rachel Falcone, HRR is an ongoing multimedia documentary portrait of the struggle for home in New York City. Composed of oral narratives and photographs, along with testimonies and memories of home, woven and remixed with the help of turntablist DJ Oja Vincent, this collection of viscerally honest, first-person narratives serve as a reminder that home is as tenuous a space in New York City as the shelter that sustains it. As chronicled by HHR, a woman whose dream home was foreclosed on while she battled cervical cancer. A small business owner on the verge of buying her first home spirals into debt after her successful store is displaced to make way for luxury apartments. A slumlord quietly moves an elderly couple’s belongings, piece by piece, from their home of 20 years into a barely habitable apartment to make room for higher paying tenants. Housing is a Human Right Teaser from Housing is a Human Right on Vimeo. The corner of Court and Carroll streets in Carroll Gardens has been home to neighborhood Italian dining since 1944. It was in 1979 that the restaurant took the name Casa Rosa and, in 1996, was taken over by its current owner, Louis Catuogno. Indeed, the longevity of an Italian restaurant in a neighborhood that is Brooklyn’s equivalent to Arthur Avenue in the Bronx or Little Italy in Manhattan just cannot be underestimated. While the corner boasts a long and proud culinary tradition, the Casa Rosa, which now occupies that address, welcomes a new generation with an entirely new look. And while the surroundings have been dramatically upgraded and improved, the food, too — always and still a hallmark of excellence and creativity — has also been enhanced and diversified. Still staunchly and proudly Italian, the bill of fare has retained all of its old favorites, but enhances the truly diverse and expansive menu with a singular array of nightly specials. For all its new enhancements, Casa Rosa remains a family affair, which still understands and administers the concept of customer service and consistency of excellence. Louis is ably assisted by wife Antoinette and daughter, Gina Marie, who are complemented by an excellent staff who show a real dedication to making your visit a satisfying one. It’s an unhurried and relaxed place where you are the focal point of attention and where the food spans the spectrum from traditional to creatively delectable, forging new standards. The wraparound corner dining room has been opened with bright windows; the dropped white tin ceiling remains. The dining room is big, open and airy, with starched white tablecloths and linens. The floor is gold flecked granite. Weathered brick or contrasting eggshell and light brown colors, with wood wainscoting, are illuminated by the tulip chandeliers. The colored chalk menus specials board changes daily; there are typically at least a dozen additions to the menu. For instance, on this night the temptations ran the gamut from Stuffed Calamari Fra Diavolo with mussels and clams to Pork Chops with Broccoli Rabe and sweet peppers. Begin the feast with the fresh eggplant appetizer. Thick and remarkably tender slices of eggplant are first prepared so that the cross hatching of the grill is branded into the butter soft slices. It is served over alternating thick slices of mozzarella cheese and sugar sweet and soft fresh red peppers in a sumptuous sweet balsamic; the dressing is so good that you will not leave a drop on the plate. Choose also the Portobello mushrooms with are laden with melted gorgonzola cheese and served over superb tender fresh arugola leaves garnished with tomatoes. The succulent mushrooms is the perfect counterpoint to the cheese, which melts into every crevice in the cap, all of which is treated with the lightest of dressings. Even a dish that is as commonplace as the Hot Antipasto is taken to new heights thanks to the top notch ingredients and the skills of the chef. There is a stuffed eggplant oozing cheese, snappy jumbo shrimp, clams and mussels oreganata; excellent mushrooms stuffed with chopped mushrooms and herbs, and even fresh artichokes. A listing of other beginners to the feast include the Zuppa di Clams or Mussels, Mozzarella en Carrozza, Clams Casino and probably a dozen and a half others. There are seven soups nightly, ranging from a hearty and thick Pasta e Fagioli to a more traditional Stracciatella alla Romana. Not to be missed as a main dish or, better yet, as a middle choice when you are very hungry, are the pasta and risotto offerings. From the former comes the homemade Gnocchi Rosa; the fluffy potato dumplings among the best you will ever taste, here enhanced with molten fresh mozzarella with a sweet tomato sauce. The handmade seafood ravioli are enormous; truly Herculean in size with a ruffled and scalloped perimeter that is so light it melts as it hits your tongue. The central area of these behemoths is crammed with an amalgam of shrimp and crabmeat all done in a white wine and light pink cream sauce. The Linguine Fra Diavolo is served in a huge bowl that is piled high with clams, mussels, shrimp and calamari (truly tender, flavorful rings) all in that biting and delicious sauce. To compound the complexity of your choices, consider the Linguine Casa Rosa with black olives, raisins and pignoli nuts or the Bucatini Filetto di Pomodoro with bacon and onions. There are two dozen others, plus risotto dishes, such as Risotto with fresh asparagus pieces and fine fresh mushrooms in a lush brown sauce, which seeps into the rice for an extra special treat. Main dishes are equally as expansive. Recommended with extra kudos is the Chicken stuffed with asparagus, fresh strips of Portobello mushrooms and prosciutto in a brown brandy sauce with a touch of cream. Really, really delicious…the kind of sauce you lop up with the bread, and when the bread is gone, the kind of sauce you run your fork over so as not to miss a single drop. The Grilled Veal Chop is marvelously tender and flavorful — and quite a generous size, thank you…grilled just right to allow natural juices to come to the fore. It is served over risotto, studded with Porcini mushrooms and fresh asparagus. If your tastes run to the waters, you will be indulged, as well: Swordfish in a delicate pink marechiare sauce with clams and mussels; Salmon Livornese with capers, onions and olives in a light tomato sauce, and Scallops sautéed with garlic and oil. These are a trio that are joined by more than a dozen others on the regular menu, which are further bolstered by specials like the Chilean Sea Bass stuffed with crabmeat or the Grilled Red Snapper with capers and onions. For the carnivore, how about a T-Bone topped with Portobello in a lush Barolo sauce or grilled lamb chops with roasted potatoes and onions? You might find on the specials board Butterflied Veal Chop breaded and served over capriccio salad; Chicken Amaretto sliced with fresh mozzarella, prosciutto and fresh tomatoes in a brown sauce or Fusilli Mimosa with cream, peas and shrimp. Even the side vegetables dishes are worthy of mention: superb escarole or spinach, for instance, studded with generous heaps of fresh grilled garlic. It is all delicately sautéed, not drenched in oil as is so common elsewhere. Indeed, the kitchen is so confident and the staff so accommodating, Louis proudly boasts that they will accommodate any request, modify any dish or create any dish to whatever specifications a customer wishes. So, although it is quite unlikely you won’t find several favorites off the long menu, just let your imagination soar and they will turn your gastronomic dreams into reality. Casa Rosa is rightfully proud of the care and uncompromising standards it puts into choosing its provisions. Freshness is key and a practiced eye to choosing the meats and seafood is obvious with every forkful of every dish you take. But this should come as little of a surprise when you realize Louis’ history in the business. His family owned and operated Tom’s Meat Market at DeKalb and Adelphi for nearly six decades and he was weaned in the business, having started working there from the age of 12. In 1999, he sold the business and the property and brought his knowledge to the restaurant world. Desserts are spotlighted in a confectioner’s carousel and include a homemade tirami su that is scrumptious; super thick slices of cake that is graced with dollops of chocolate covered whipped cream and powdered sugar. 384 Court Street, corner of Carroll; 718-625-8874 or 718-797-1907. Hours: Open for lunch and dinner seven days; noon -10:30 p.m. Sunday-Thursday and until 11 p.m. on Friday and Saturday. Private parties up to 95 are accommodated; outside catering is a specialty.Easy street parking after 6 p.m.Monday – Thursday, the dining room offers a three course meal for a price fixed $25. With music icons adorning its walls, the Brooklyn Museum helps welcome its latest exhibition with a rock and roll show, Brooklyn style. On November 7, one week into its new exhibit, “Who Shot Rock & Roll: A Photographic History, 1955 to the Present,” the museum will host several local bands handpicked by music promoter Todd P, big in the DIY scene, for its next Target First Saturday event. While perusing the exhibit, which focuses on photographers who are often behind the scenes (while also providing some great and rare shots of icons like The Ramones and Bob Dylan), hear emerging indie rock talent from the Brooklyn scene, including Captured Tracks artists The Beets and Grass Widow, and Crystal Stilts. Kept busy for the past year playing songs off their debut full length “Alight of Night” (Slumberland Records), a collection of spectral avant-garage that’s made for comparisons to early Jesus & Mary Chain and Joy Division, Crystal Stilts look to break out some new tunes as they gear up for heading into the studio to work on their next album. “We played so many shows here the past year where we played a lot of older songs, so we might as well play songs people haven’t heard,” reasons guitarist JB Townsend, who lives in Bed-Stuy. Never having played a museum space before, bassist Andy Adler is excited about the prospect of playing not just a nontraditional venue, but a new neighborhood — Prospect Heights — as well. In a nod to the photographers who line the museum’s walls in new exhibit, during the live show, photographers are encouraged to shoot photos themselves and post them to the museum’s Flickr group. If feeling inspired musically, the museum will also host a workshop where you can create your own percussion instrument. Beyond music, there’s much more to keep you rocking out that night. Museum/concert goers are encouraged to come dressed as your favorite rock star (Mick Jaggers and Ziggy Stardusts aplenty to be sure). Also come with notebook in hand and hear from exhibit curator Gail Buckland, who will participate in a curator’s talk, as well as chat with photographers Bob Gruen and Justin Borucki, both included in the exhibit, about their involvement in the rock photography scene. Bill German, another veteran of the rock scene known for his work not with a camera but a pen, will head to the podium to discuss his memoir Under Their Thumb: How a Nice Boy from Brooklyn Got Mixed Up with the Rolling Stones (and Lived to Tell About It). For this decidedly multimedia event, sit back and watch one of the greatest rock films, “Purple Rain,” starring Prince, on screen. Then stay late for the dance party, where DJs will spin artists featured in the exhibit, including Michael Jackson, Jimi Hendrix, James Brown, Chuck Berry and Jay-Z, and party like it’s 1999. Rock out with Target First Saturdays this November 7, from 5 p.m to 11 p.m. Admission is free. For more information, call 718-638-5000. The Brooklyn Museum is located at 200 Eastern Parkway. 3rd Ward Brooklyn is quickly becoming the go-to venue for vibrant, multipurpose arts and music performances. Add Paper Garden Records’ “Multiverse Playground” to the list too. The multimedia event comes to 3rd Ward on November 7, starting at 6 p.m., for eight hours of live music and art exhibitions. Vaughan assures that they have improved. Paper Garden Records’ Multiverse Playground will take place at 3rd Ward Brooklyn (195 Morgan Ave.) from 6 p.m. until 2 a.m. For more information, call 718-715-4961. Living in Park Slope for the last 20 years, Capathia Jenkins has seen the neighborhood go through a lot of changes. Lately, with new shops and restaurants popping up, despite the dour economic times, it’s been pretty happening. Jenkin’s own career is experiencing a similar boom, what with a new album out – her third – a string of shows at Joe’s Pub, and a run in a new off-Broadway production.Growing up, Jenkins was surrounded by music, singing in the choirs at her church, Greater Brightlight Baptist Church (251 12th St.) in Park Slope, and High School of Music & Art (now LaGuardia). Since catching her first break (playing Aretha Franklin at a resort in Bermuda while a student at Temple University), the Brooklyn native has made music her life, starring on Broadway in “Caroline, or Change” and “The Look of Love,” performing with symphonies including the Cleveland Orchestra and with Michael Feinstein at Carnegie Hall, and releasing two albums with her music partner, composer and guitarist and fellow Park Sloper Louis Rosen. On November 10, the two release their third album, “The Ache of Possibility,” out on Di-Tone, a collection of 12 timely tracks all written by Rosen for Jenkins, with lyrics by Rosen and, on four tracks, poet Nikki Giovanni. The two perform for four nights this November at Joe’s Pub, a hometown venue where they’ve presented their previous two albums to sold-out crowds. This time Jenkins’ soulful, powerhouse of a voice and Rosen’s graceful guitar will be backed by one of the biggest bands they’ve ever had. That’s not the only place you can see Jenkins around town. Starting November 18, the singer will join “Love, Loss and What I Wore,” an off-Broadway play from sisters Nora and Delia Ephron. Featuring a rotating cast of female actors, including Natasha Lyonne, Rosie O’Donnell, Rita Wilson and Rhea Perlman, Jenkins will be on stage for a four-week run, reading vignettes and monologues based in part on the best-selling book by Ilene Beckerman. When not shooting off to Times Square for rehearsals or preparing for symphony appearances, Jenkins finds time to enjoy her neighborhood and trying restaurants like Bark that keep cropping up. The singer is happy for those changes, and is pretty appreciative of her own recent success. 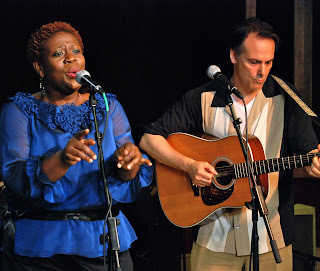 Capathia Jenkins and Louis Rosen play Joe’s Pub November 8, 14, 21 and 22 at 7 p.m. Tickets are $20. For more information, or call 212-967-7555. Jenkins also joins the rotating cast of Nora and Delia Ephron’s “Love, Loss and What I Wore” at the Westside Theatre (407 W. 43rd St.), starting her four-week run November 18. Tickets are $75. For more information, call 212-239-6200. What started out as a friendly collaboration among Brooklyn neighbors has blossomed into a critically acclaimed album, nation-wide tour and handily sold-out shows. Rework they did, and over the next few years they recruited young composers including Nico Muhly, Michael Atkinson, Maxim Moston and Gabriel Kahane to rearrange the pieces for live instruments. 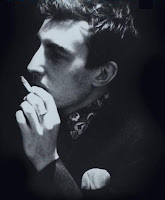 Those efforts have culminated in the album, “Run Rabbit Run,” out earlier this month on Stevens’ own Asthmatic Kitty Records, which imaginatively captures the glitches and white noise of the original album in squeaks on the bow and a crescendo of hissing, while adding a human, and thus more emotional, element to the source material. Today, the quartet is comprised of Jeffers (cello) and Hansen (viola), as well as violinists Jannina Barefield and Brooke Quiggins, as they tour the country in support of the album, including a stop at the Bell House in Gowanus November 7. With other local shows on the tour, which also include a screening of Stevens’ 2007 documentary “The BQE,” a symphonic and cinematic homage to the Brooklyn-Queens Expressway, selling out, the musicians looked around for another location to add and fell on the Bell House. There, they will play selections of “Run Rabbit Run,” followed by a screening of the film. The shows weren’t easy to arrange, as the four women all have full performance careers, going between the experimental and classical worlds, with members of the quartet linked with DM Stith, Mocky, My Brightest Diamond, the New Pornographers, Jay-Z and Kanye West. And though the musicians are juggling multiple projects, the quartet hopes to create original material and continue the collaboration. Osso Quartet play the Bell House (149 7th St.) November 7 at 7:30 p.m. Tickets are $12. Also includes a screening of Sufjan Stevens’ “The BQE.” For more information, call 718-643-6510. Captain America is dead. Batman too. And the traditional axiom of “truth, justice and the American way” has never been more amorphous in the world of comic books than it is right now. Fishman is one of the chief organizers of “King Con” - the two-day comic and animation convention set to invade the Brooklyn Lyceum November 7 and 8. The event will feature some of the borough’s most high-powered comic book writers and artists, as well as a plethora of vendors, exhibitors, panelists - and, yes even aerialists. The Lyceum, located at 227 Fourth Avenue in lower Park Slope, is that big -- The Dresden Dolls, Yo La Tengo and Fiona Apple have all played here. Dean Haspiel, founding member of Gowanus’ DeepSix Studios and creator of the webcomix collective known as ACT-I-VATE, will be among the King Con’s long list of comic book literati on hand to discuss the state of superheroes and lots more. “We’ve moved far away from the standard superhero,” Fishman says. Today’s comic book heros are likely to be just as troubled as you are - maybe even more so. Think Harvey Pekar of “American Splendor” fame. Haspiel calls “Billy Dogma” - one of his most popular creations - “the last romantic anti-hero” confronting the id, ego and high romance. The King Con is expected to be so big that organizers are talking about holding off-site programming up and down 4th Avenue where the Brooklyn Lyceum is located. Along with Haspiel, other Brooklyn comic book creators expected to attend the King Con include Brian Wood, Molly Crabapple, Matt Manning, Bob Greenberger and the aforementioned Harvey Pekar with his Pekar Project. There might even be some capes in the crowd. The King Con runs from 11 a.m. to 7 p.m. both November 7 and 8. Single day tickets are $7. Weekend tickets are $10. Single day tickets for children under 12 are $5. Weekend tickets for kids are $7. The Brooklyn Lyceum can also be reached at 718-857-4816. After causing a stir at festivals like South By Southwest, the Northside Music Festival, and, most recently, CMJ, New Jersey folk rockers Carlon settle in to a November residency at Pete’s Candy Store in Williamsburg. Every Monday, the new band will break out tunes from their debut, “Johari Window,” out on Ropeadope Records. Executive produced by Dispatch bass player Pete Francis and produced by Carlon and Ross Petersen (engineer for and New Jersey native son Bruce Springsteen, as well as Muse and John Mayer) and mixed by Dan Huron (engineer for Brooklyn-based acts TV on the Radio and The Yeah Yeah Yeahs), the album was released in conjunction with the group’s involvement in this year’s SXSW festival, where they made their debut. 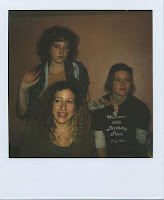 Since then, they’ve been making waves across the country for their inventive, rootsy sound. Don’t miss them at these upcoming engagements, when they play Pete’s Candy Store (709 Lorimer St.) November 2, 9, 16 and 30, at 9:30 p.m. For more information, call 718-302-3770. Sorry, no vegetarians allowed for this one. On November 8, the Bell House presents meat lovers with The Brooklyn Beefsteak, a ode to the all-you-can-eat-and-drink beef and beer feasts of the Tammany Hall days, without the politics. Experience the raucous atmosphere of the New York docks and saloons of yesteryear as you chow down on buttery beef tenderloin and gulp McSorley’s Ale. Communal singing welcome. The event will be held from 3 p.m. to 6 p.m. Tickets for the all-you-can-eat affair cost $40 in advance, $50 day of, and $35 each for groups of six or more. Come hungry, and with company. For more information, or call 718-643-6510.The Bell House is located in Gowanus at 149 7th St. 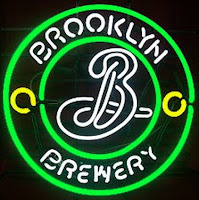 While Brooklyn Brewery no longer has its sights set on Red Hook, it is poised to expand in its Williamsburg location. It's all part of the brewery's $6.5 million expansion of its 79 N 11th St. space. The $800,000 grant from the state government will go towards converting 13,500 square feet of vacant distribution space into a fermentation facility, and increasing their production from 8,000 to a whopping 50,000 barrels a year. That's a lot of lager. This Sunday, more than 40,000 runners will hit the streets for the annual ING NYC Marathon. While we most likely will be in our pajamas, the devoted will kick things off at 9 a.m. in Fort Wadsworth, Staten Island. 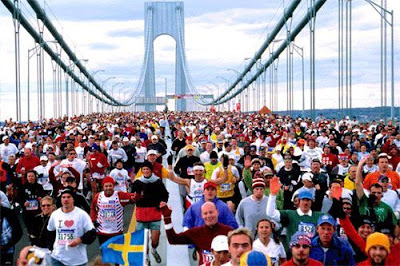 By Mile 2, they're in Brooklyn, crossing the Verrazano and heading north in Bay Ridge along Fourth Avenue, passing through Sunset Park, Park Slope, Fort Greene, Williamsburg and Greenpoint, before crossing the Pulaski Bridge into Queens. Those looking to cheer on the runners, make sure to check out the map of the marathon (26.2 miles, 10 of which are in Brooklyn) and see where they might pass you by. Those looking to make a morning of it, ING recommends Fourth Avenue and 7th Street in Park Slope, where Time Warner Cable will have video screens and access to the Race Day Tracker, so you can get an idea of where a friend or family member is. Fourth Avenue and Lafayette, near BAM, also comes recommended, especially since there'll be an ING Cheering Zone, where you can watch as different streams of runners merge and the lead pack often begins to break up and, of course, cheer. Or, if you're in the neighborhood, relax indoors at Pacific Standard (Fourth Avenue near St. Marks Place), which will open early (9 a.m.) to host people as the marathon goes right by their bar. By lunchtime, chow down on hot dogs and burgers from their barbecue station on the sidewalk outside, and enjoy a Marathon Mary. By Miles 10 and 11, the runners will be in South Williamsburg. Catch the run at McCarren Park, or station along Manhattan Avenue in Greenpoint, which is one of New York Times sports reporters Liz Robbins' favorite neighborhoods to watch. "I love Manhattan Avenue in Greenpoint, if not for its 1950s feel of shops and streetlights, than for its steamy blintzes in the Polish section of the block," she says. As Sunday is typically big for brunch, Zagat recommends restaurants good for viewing the race and eating a bit to eat as well. For Brooklyn, that means the Med-Middle Eastern Tanoreen in Bay Ridge, Park Slope's Belleville, Chocolate Room (where you can warm up with some hot cocoa), Press 195 and Nana (good for groups), Fort Greene's Thomas Beisl (head to the beer garden) and Olea, and Williamsburg's Roebling Tea Room, and Fornino and Bonita. Readers, where's your favorite spot for viewing the marathon? Music: The Osso Quartet makes beautiful music, based on Sufjan Stevens' "Enjoy Your Rabbit," at the Bell House November 7, the Brooklyn Museum does rock with bands, including Brooklyn's Crystal Stilts, playing the space Novembr 7, and Park Sloper Capathia Jenkins has a moment with a new album, run of shows at Joe's Pub beginning November 8, and a part in Nora Ephron's "Love, Loss and What I Wore." Comics: Brooklyn gets its own Comic Con when “King Con,” a two-day comic and animation convention, invades the Brooklyn Lyceum in Park Slope November 7 and 8. Get a sneak peak at the event, which will feature some of the borough’s most high-powered comic book writers and artists, as well as a plethora of vendors, exhibitors, panelists - and, yes even aerialists. Food: Find out what's on the menu at Carroll Gardens Italian favorite Casa Rosa and one of Brooklyn's best sources for authentic German cuisine - Schnitzel Haus in Bay Ridge. Columns: Michele checks in on Park Slope boutique Flirt for all her accessories needs, while the Kitchen Klutz gets in the Halloween spirit with her Gummy Worm Mud Pie. Yum! With changes in store for the B61 route (the line will split in downtown Brooklyn, with the newly named B62 traveling south to Red Hook, to ease delays), there are lots of questions that remain: How much will service improve? Where will the lines break up exactly? When will this start? One that sticks out in our minds, however, concerns a bar along the bus's route: Will B61, the homey Carroll Gardens bar directly under Alma that takes its name from the Columbia Street bus line, keep its name? Or, in keeping with the times and to remain a local bus stop fixture, become known as B62? In the meantime, we suggest "The Bar Formerly Known As B61." BAM released its spring schedule today, promising a diverse range of performances, from opera to dance to theater. Theater: Get double doses of Shakespeare with "As You Like It" (Jan 12-March 13) and "The Tempest" (Feb 14-March 13), both part of BAM's partnership with The Bridge Project, led by the Academy award-winning director Sam Mendes. 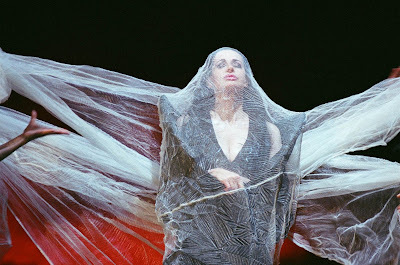 Opera: Opera comes to BAM, with a combined showing of Henry Purcell's Dido and Aeneas and Marc-Antoine Charpentier's Actéon (March 18, 20 and 21), Purcell's "The Fairy Queen" (March 23, 25-27), and two evenings of baroque cabaret (March 21 and 24), featuring music from an evening of arias and instrumentals by Purcell, Handel, Mancini, and Blow. Performed by members of Les Arts Florissants. Music: The Sounds Like Brooklyn festival returns this February, showcasing the borough's best bands. Previous headlining bands have included Mos Def, The National, and Beirut. This year's complete lineup will be announced in late December. On April 17, Falla and Flamenco comes to Brooklyn, with a program of three works by Falla that imbue 20th-century music with flamenco’s ancient gypsy traditions. Dance: Some of the best troupes around come to BAM next year, bringing innovative, compelling works with them. In February, it's the Mark Morris Dance Group (Feb. 23, 25-27), and, down the line, Alvin Ailey American Dance Theater (June 10-20). And from May 28-30, through DanceAfrica, African and American companies, including Brooklyn’s very own BAM/Restoration DanceAfrica Ensemble from Bedford-Stuyvesant, will celebrate the cultures of Africa and its Diaspora. Tickets go on sale at varying dates. For more information, go to www.bam.org. The Guggenheim's "It Came From Brooklyn" series returns this month, with more stellar local music acts and other creative types to entertain you. The offerings have proven diverse, with the event kicking off in August with The Walkmen, High Places and the Brooklyn Steppers Marching Band, and last month featuring Julian Plenti and I'm In You. 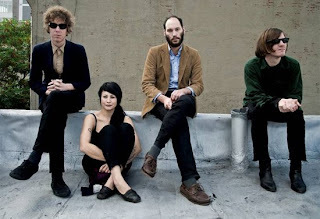 Genre-benders Yeasayer have toured with MGMT, Man Man, Beck, and Bat for Lashes, blending four-part harmony and tribal rhythms with big hooks and melodramatic vocal workouts. Known for their psychedelic shows, for the Guggenheim, they are planning a 3-D light show with cycles of color and animation projected onto the wall of the rotunda, for a “synesthetic experience of music and light,” much in the spirit of the current Kandinsky retrospect. The audience will receive black paper ChromaDepth 3-D glasses to experience the performance. Sounds like a trip. Opener Tanlines make experimental pop that should seque nicely to the Yeasayer show. 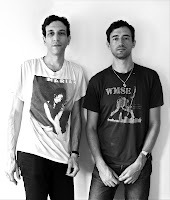 Comprised of Eric Emm and Jesse Cohen, the two are equally influenced by the overproduced, studio pop music of the 1980s and 90s and underground music cultures from around the world, blending these styles against a backdrop of pulsating psychedelic rhythms, hypnotic guitar lines, and bold melodies. Check them out on YouTube, where you can find original tracks and remixes accompanied by self-made videos, creating a bizarre and playful visual experience of its music. 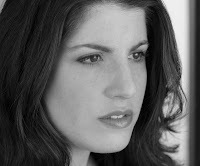 In a cabaret spirit, the night will also feature a reading from Ditmas Park-based author Rachel Sherman, whose novel "Living Room" will be published this month by Open City Books. Her short stories have appeared in McSweeney’s, Fence, Open City, Conjunctions, and n+1, among other publications. Her first book, The First Hurt, was short-listed for the Story Prize and the Frank O’Connor International Short Story Award, and was named one of the 25 Books to Remember in 2006 by the New York Public Library. She teaches writing at Rutgers and Columbia University, where she received an MFA in fiction. Kicking off the festivities will be comedian Max Silvestri, hosting the evening as the MC. 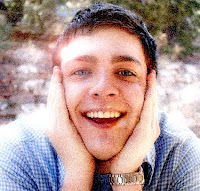 New York magazine recently named him one of the Ten Comedians People Find Funny, as he's been making people laugh as a podcaster for VH1's Best Night Ever, his "Say When" column with the Onion's AV Club, and various bits for Gawker and the Huffington Post. Each week, he cohosts Big Terrific at Cameo alongside Gabe Liedman and SNL's Jenny Slate. Tickets are $40 for museum members, $45 otherwise. The event runs from 8 p.m. to midnight. The museum is located at 1071 5th Ave. and E. 89th St. in Manhattan. After four days of non-stop music, don’t quit now! Chill out a bit with Mia Riddle & Her Band and Pete & J (don't they sound so friendly?) at Park Slope’s Union Hall (702 Union St., acts starting at 6 p.m., $10), or with Au Revoir Simone at Bell House (acts starting at 7:30 p.m, $12). Or, if you’re looking to end the marathon with sore limbs and maybe a bruise or two, catch New Jersey punk rockers Screaming Females at Above the Auto Parts Store (600 Bushwick Ave., bands starting at 9 p.m., $10). Then, you can get some sleep. 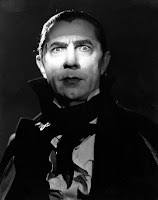 With every passing year, vampires seem to get more and more anemic on film. Add “Cirque du Freak: The Vampire’s Assistant” to the mix and the usually thick robust genre finally turns to water. Once feared by millions, vampires are now a bunch of tepid terrors — so much so that John C. Reilly (Hollywood’s favorite schlub with a heart, this time playing the wild-haired Larten Crepsley) is a blood sucker of stature. In “The Vampire’s Assistant,” a combination of several “Cirque du Freak” children’s books, Crepsley, a marquee star of the freak show, takes young Darren Shan (Chris Massoglia) under his wing (we would say fangs, but there are no fangs) when Darren steals his prized tarantula (the CGI spider, by the by, is 10 times more entertaining than Crepsley). With a touch of his fingertips (there’s something about sharing blood, but we don’t see it) Crepsley makes Darren a “half vampire” so he could go out in the daylight, run errands and watch over his coffin while he sleeps. This irks Darren’s friend Steve (Josh Hutcherson) to no end since he’s the one who really, really wants to be a vampire (insert sad violin music here, but nothing too scary). As Darren learns the ways of the undead (who run very fast and need manicures, but aren’t much different than you and I), a story arc unfolds about a brewing war between the vampires and vampaneeze (vampires who apparently don’t get squeamish over blood), orchestrated by the enigmatic Mr. Tiny (Michael Cerveris). Then there are the freaks of the freak show, played by a litany of B-list stars from Salma Hayek (the bearded Madame Truska) to Orlando Bloom (Alexander Ribs) and Ken Watanabe (Mr. Tall). But while the freaks show promise, they’re never around long enough to make an impression. Much like Darren’s love interest Monkey Girl (Jessica Carlson), the upcoming vampire war is left hanging in the air, probably so it could be fleshed out in a sequel (there are 12 books in the series, after all). But if this is all “The Vampire’s Assistant” has to offer, I don’t see one coming in this lifetime. 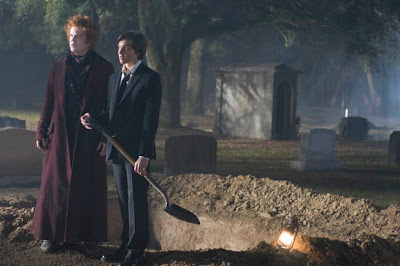 “Cirque du Freak: The Vampire’s Assistant.” Starring John C. Reilly, Chris Massoglia and Salma Hayek. Directed by Paul Weitz. Running time: 108 minutes. Rated PG-13 for sequences of intense supernatural violence and action, disturbing images, thematic elements and some language. Playing at the UA Court Street Stadium 12, UA Sheepshead Bay 14 and Linden Boulevard Multiplex Cinemas. Kitchen Klutz: 'The Iron Klutz' Part Deux! Kitchen Klutz: Yummy bowl of goodness!